What better way to understand a typical corporate finance career path than to hear from a professional who has been there and done that? 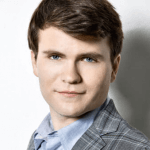 Nicolas was a Financial Analyst at General Electric where he explored the world of Corporate Finance. He is now a CFO and Partner at Wild is the Game. If that’s you, you need to rethink what you just said. No, corporate finance is NOT as “prestigious” as investment banking, and it doesn’t give you as many exit opportunities. It’s a different world altogether. But it’s also a world where you can still make hundreds of thousands of dollars, and even into the millions if you’re at the right company in the right role. How the corporate finance department is organized at a Fortune 500 company. What you do on a daily basis in the Financial Planning & Analysis (FP&A) division. Why accounting is not (always) just a 9-to-5 job that bores you to death. Why Treasury roles are crucial and why they can mean life or death for a company. 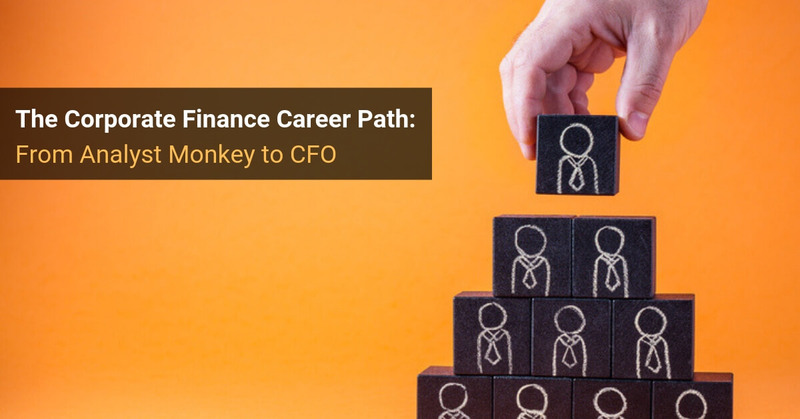 How you can make it to the top of the ladder and become a Chief Financial Officer (CFO). Let’s start at the top. In every corporate finance department, the “King” is the Chief Financial Officer (CFO). You could argue that the CFO is ordered around by the CEO, but at the end of the day if you work in finance, you are doing whatever your CFO asks of you, period. We’ll focus on the CFO and the team directly under him first. Every corporate finance department is different, so the exact team depends on the organization, the size of the division, the industry, and plenty of other parameters. But despite that, most corporate finance departments at large companies are similar. The FP&A Manager: Heads the management accounting department. The Controller: Heads the financial accounting department. The Treasurer: Heads… the treasury department!. FP&A stands for “Financial Planning & Analysis,” and some companies also refer to it as Management Accounting. This department is in charge of the company’s Profit & Loss Statement (P&L), and forecasts the all-mighty “bottom line”: Net Income, which is literally the bottom line of any company’s or division’s P&L. Based on your projections, will Net Sales grow more quickly or more slowly than expected? Is the increase in Cost of Goods Sold (COGS) or Sales & Marketing expenses out of line with the increase in revenue over a certain time period? Will there be certain “one-time” expenses that you anticipate and that will throw off the bottom line in a certain period? You also give every operational department, including Sales or Production, a target to reach in terms of revenue and expenses. Then you collect information along the way to see how far away the departments are from their targets. Corporate finance jobs in FP&A involve a lot of data consolidation and variance analysis to see what went wrong or right in the previous quarter. You also produce ad hoc reports on key metrics such as sales volume compared to the plan, or the employee compensation expense compared to projections. This department is one of the most strategic ones because you define where the company is going to be in five years. Three or four Analysts are led by a Senior Analyst, who is in charge of a specific product. The Senior Analyst then reports to the FP&A Manager on their respective product. The FP&A Manager is at the top of the pyramid and reports directly to the CFO. During normal weeks, expect to work approximately 60 hours per week with weekends off. Quarter/year end closes and planning sessions are your busiest weeks, and it can even approach investment banking hours in extremely busy periods. Entry-Level Analyst: $70K USD base salary. Senior Analyst: $100-130K USD base salary, with a 10% bonus in a good year. FP&A Manager: $200K USD for a smaller P&L (e.g., the German division of a global company); can go up to a 7-figure salary for a Global FP&A Manager. Bonuses are heavily tied to the health of the company and the managers’ ability to forecast performance accurately. It might take you 4-5 years to reach the Senior Analyst level, and then another 4-5 years to become a local FP&A Manager. Moving beyond that is tricky and uncertain, and the timing varies heavily based on the company’s growth and your performance. Controllership or financial accounting usually has the worst reputation in the world of finance: many people think that working in financial accounting means a boring, mundane, accountant job where you’re inspecting journal entries all day. The other side – the interesting one – is where you are in charge of the integrity of the Balance Sheet. Whenever an accounting problem arises, you have to make a decision so that your financial statements clearly and accurately reflect the state of the business. Your work as an Analyst is to be a liaison between the accountants’ world and the other financial departments. Accountant: Avoid screwing up and making errors so that the company doesn’t have to restate its financial statements afterward. CFO: Hit his Net Income target… even if he has to “take some liberties” along the way. He might try to classify more spending as Capital Expenditures so that it doesn’t hit the Net Income line (e.g., capitalized R&D spending). He might try to change the timing of certain expenses, or the company’s revenue recognition policy, so that Net Income looks better. As an accountant, you have to manage both sides and make sure that the CFO is happy, but that the financial statements are also accurate and don’t mislead investors or company management. You have to make sure that when auditors review them, they can understand everything and won’t ask you to restate results. Audits are also a big part of corporate finance jobs here since you’ll be providing auditors with the necessary accounting documents. Traditional accountants are divided by product or region, and you have to coordinate their work so that they book entries properly. The “finance-oriented” side, where non-accountant profiles work, is made up of 3-4 Analysts led by a Senior Analyst. Financial accountants are in charge of producing the financial statements and dealing with all the tasks and responsibilities discussed above. The Controller – the head of this department – reports directly to the CFO. You work 40 hours a week – no more, no less – and you’re paid accordingly: $40-50K USD for an entry-level position. If you are reading this article, though, you are probably more interested in the “dynamic” side of controllership: the royal path to becoming a CFO. In that case, your hours, salary, and promotional path will be very similar to the ones quoted above for FP&A roles. An annual closing can turn into a nightmare and make investment banking hours look like a primary school teacher’s schedule, though! Treasury deals with everything related to cash and cash flow. If you’ve studied accounting, you know that Net Income can be manipulated in many ways: you can change revenue and expense recognition, re-classify expenses as capital expenditures, and so on. But you can’t fake how much cash you’re generating or losing. If, at some point, you have no cash left and no credit line available, your company is dead. That’s why Treasury is so important. As a Treasury Analyst, you forecast how much cash your company is going to need in the future. You then have to make sure that this amount of cash is available when it’s required. In order to do that, you have many tools at your disposal: you can emit bonds, raise equity, borrow through commercial paper, or negotiate credit lines with banks. You’re in contact with banks and investors on a weekly basis to secure funding and support – and this is one of the reasons why you work so closely with Debt Capital Markets (DCM) groups at banks. You are also responsible for equilibrating the cash position of all the company’s accounts to make sure that none are negative and costing you extra in fees. On the other side, you also have to invest short-term funds so they don’t stay idle in your accounts and so that you get at least some interest income out of them. The size of the Treasury team depends heavily on the industry. It’s more important for a bank to have a larger Treasury team because the bank must deal with liquidity and capital ratios and heavy regulations. But an industrial company would have a much smaller Treasury team, since their liquidity and cash positions are a bit less important on an ongoing, everyday basis. Each Analyst has a specialty, ranging from bonds emission to cash position forecasting, and the Treasurer coordinates all of them. 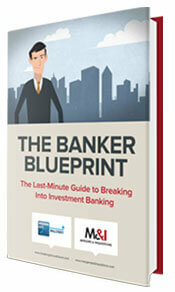 The Treasurer is also the main contact for investment banks and investors. If everything goes smoothly and the company generates a lot of cash flow, being a Treasurer can be a breeze. On the other hand, if your company is in a tight spot from a cash point of view, the Treasury team will meet with the CFO daily to find solutions. Treasurer: He tends to be one of the better-paid members of the “corporate finance jobs” team, and he often earns the next most after the CFO; that translates to a range between $200K USD and $4MM USD. Yes, that is a very wide range because so much of it depends on the company’s size, health, growth rate, and how senior the Treasurer is (e.g., divisional level or for an entire multinational company?). It’s the same issue as in investment banking careers, where Managing Directors could earn a bonus of $0 or a bonus of millions of dollars per year. What About Other Corporate Finance Jobs? There are a lot of “core” functions I didn’t mention here because they are not always part of the CFO’s team. For instance, Pricing can be a marketing role or a financial role depending on the company. I didn’t mention Tax because it’s a very specialized job, and I have never witnessed someone moving from a Tax position to another corporate finance function. So, How Do You Become a CFO? Good question! The chief financial officer (CFO) of a decent-sized division manages between 25 and 200 people and earns $300,000 USD and above (bigger company and bigger division generally equals higher pay). At the end of the day, 80% of the people in corporate finance want to become the CFO… and, of course, very few succeed. You also have to know the right people (and play the office politics game well), and make sure that they like you enough to trust you with a P&L. In that way, it’s very, very different from what it takes to succeed at a hedge fund or asset management firm (or prop trading and so on), where advancement is more merit-based, and it’s arguably quite different even from investment banking. Decades ago, the “standard path” to becoming a CFO was to be an FP&A Manager for a while to learn everything about hitting your Net Income target – and how to coordinate with other groups. But things have changed a lot, and regulators are now the CFO’s main focus. Thanks to the Sarbanes-Oxley Act in the US and similar legislation in other countries, CFOs can now go to jail if they certify incorrect financial statements. So, strong controllership skills are now essential if you want to reach the CFO level. Controllership isn’t the sexiest department, but you’ll have to get used to it! If you have a Big 4 background, you will have a serious advantage. Once you’ve learned how to manage a P&L by working in Management Accounting for a few years, you have a good shot at moving toward the CFO role as you move up the ladder. For more about this topic, please see our article on Chief Financial Officer (CFO) vs. Managing Director to learn the trade-offs and key differences. 10% move to sales & marketing or risk. Yes, you can transition to investment banking or private equity… but it’s also much harder than if you started out in one of those. The skills are relevant because doing planning sessions in FP&A will teach you a lot about how to model revenue and expenses for a company – you’ll be more grounded in reality than bankers who have never seen what all their fancy spreadsheets mean in real life. Controllership will give you a perfect understanding of the Balance Sheet. But in a tough economy, you’ll have to be very talented and very well-connected to make the move. If you want to follow that route, it’s almost easier to re-brand yourself with a top MBA degree and make the switch after that. If you feel more like a sales guy or girl, you should definitely consider sales and marketing in a big group. Forget all the hassle of regulators and audits, and embrace the world where the bottom line is all that matters. A background in finance won’t hurt and could even put you ahead – sales teams often have a hard time understanding the financial impact of their actions! Any Questions About the Corporate Finance Career Path? I hope you enjoyed your tour in the world of corporate finance, and that you no longer think of it like the back office anymore. If you have any questions or experiences, please share them in the comments! Very good Article! I work in a different field, Product Management, and have little idea over CF. Was just curious and wanted to learn about it for general knowledge. Your article is very straightforward, structured, easy to understand, with no deep technical jargon. Thank you for sharing! If you have signed up for our courses, feel free to submit your question on the BIWS site or via email there. Otherwise, no, we do not provide free coaching services at this time. Hi Brian, I am an MBA student at Rutgers Business School, we have recruiting ops in corp finance at major pharma and other companies in NJ. My concern is growth and earning potential since it is a support role. I know making CFO is very tough but after 10 or so years, is it expected and common that you can be earning over 200K in some capacity in a corporate finance role? $200K within 10 years in corporate finance is a reasonable expectation. Yes, you can easily move around and find different CF roles at other companies. But it would be much harder to move into IB, PE, etc. at that stage.